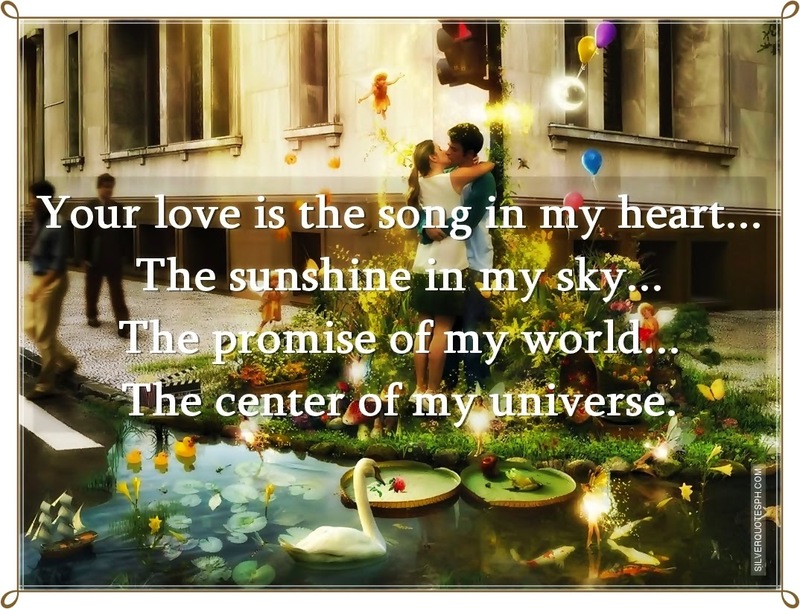 Your love is the song in my heart... The sunshine in my sky... The promise of my world... The center of my universe.